Access to books is a component to helping children develop literacy skills and learn to read proficiently. Reading into Success strives to not only provide access, but also allow children to choose the books they take home. Your efforts to help us collect new and gently used children’s books is greatly appreciated as we work to ensure every child in our community has age-appropriate books at home. 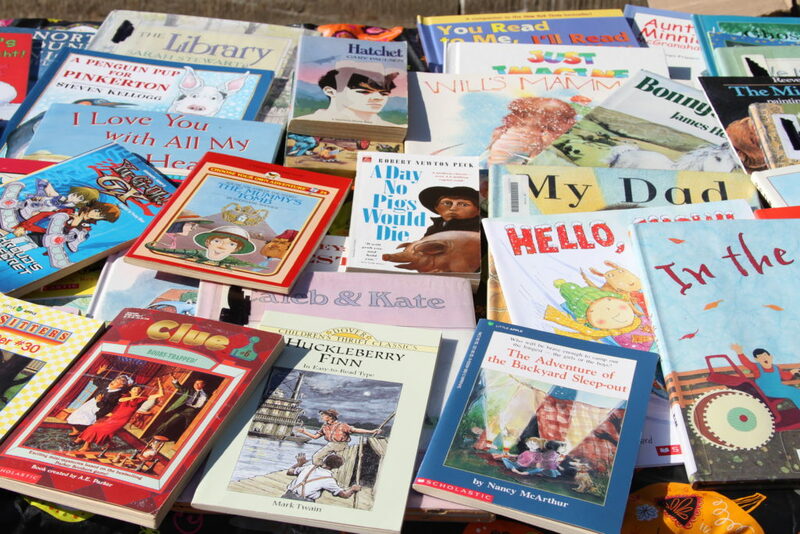 This toolkit is designed to help you have an easy to plan, fun, successful book drive. Feel free to use the ideas and templates below, or create all of your own creativity! Ask for volunteers to help with the drive, more hands makes for easy lifting. Determine when you want to have your book drive. Keep in mind that a multi-day drive might give people more time to bring in their donations. A single day drive might be more manageable for your team. Set a goal! How many books do you hope to collect? Challenge departments to see who can collect the most. Identify where books will be collected. Do you want a central location so employees see the whole picture? Will departments collect in their own areas? Advertise, advertise, advertise! Try this flyer! Make a plan to deliver the books, or arrange for Reading into Success to pick them up. Let us know the plan. We accept gently used books. A good rule of thumb is, would you want to receive a book in this condition? Diversity is great! We love books about or set in other cultures, countries etc. We do not distribute any books with a religious component. If received, they are passed on to other book distributors in our community.